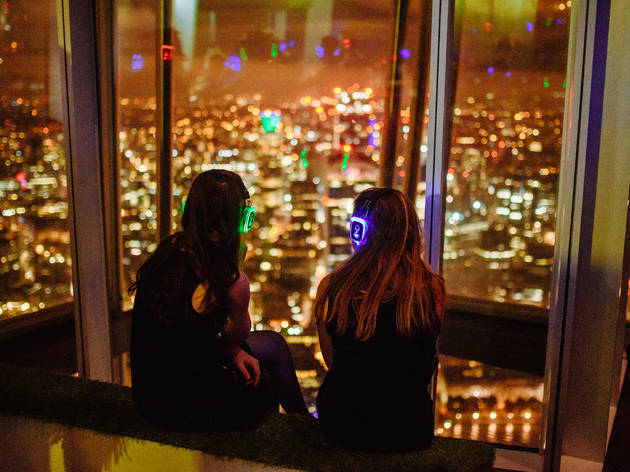 The silent disco phenomenon reaches new heights at these exclusive Time Out events. 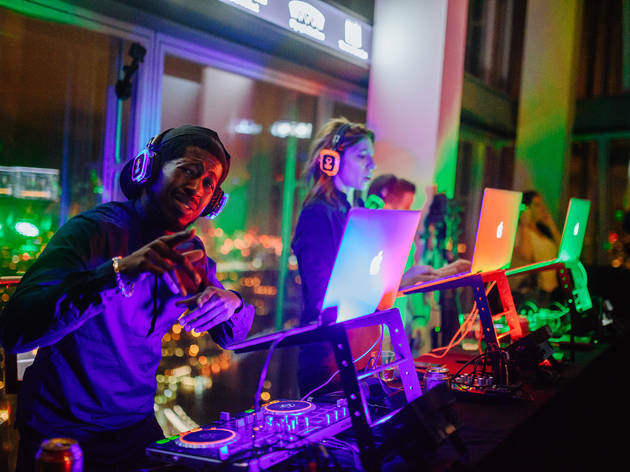 Pick your channel and choose your side as three DJs battle it out over separate wireless channels, playing the best in pop, rock and party classics, while you dance the night away at 1,000ft. 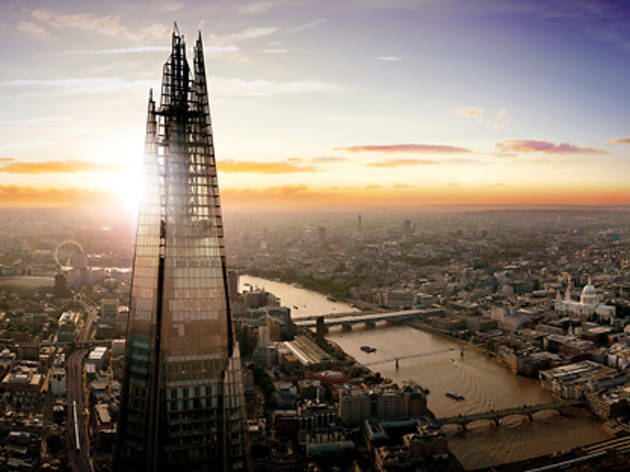 The View from The Shard is the visitor attraction at the top of Western Europe's tallest building, The Shard. 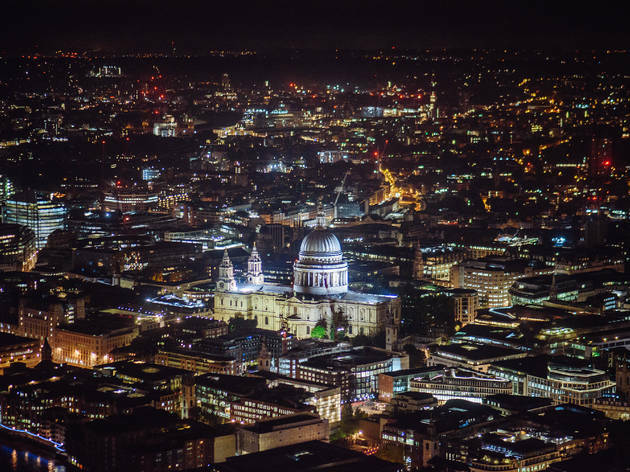 With unparalleled, panoramic views, it offers visitors a unique perspective on the capital. LOVED, LOVED, LOVED IT. We came as part of a hen night. Best night out in London!!! We will be back with the boys next time. Thank you to all the lovely staff and DJ's that make it so special. It's no Manhattan but really very high places from which to observe this fantastic city we live in are springing up like daisies of late. I've had the good fortune to view London from the heights of the Shard before and couldn't help but be mesmerised by the sight of life in miniature, at once familiar and yet also totally alien. I found the whole experience of the View from the Shard quite bizarre, the airport-style security at the door leads you toward a snaking queue for the lift which is heavily staffed by serious, suited individuals. It looks and feels a lot like standing in line for a rollercoaster but in the setting of a glossy 5 star hotel. 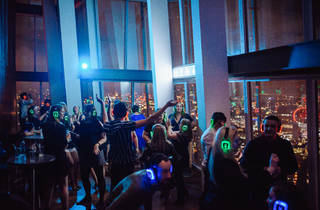 My memories of all of this left me feeling cynical about just how much I might enjoy a party at the Shard - I imagined that the crowd would be a real mix but struggled to see how there could be much energy late into the night with everybody listening to their own headset. And surely once you've circled your way round the view it loses it's intrigue? SO WRONG! The views, vibe and enthusiasm of absolutely everyone involved (staff included) all took me by surprise. The colour-coded headphones and head bumping of everyone wearing them give you an indication of what each person is listening to and the three channels meant that you could go from satisfying your love of 80's rock to dancing the limbo to rapping all within the space of 5 minutes. If any of the above excites you then I can promise that it is totally worth every penny - I know I'll be back soon and I'll be binging a much larger party with me next time! This was the most amazing alternative night out. We went on a school night expecting a mediocre event with expensive drinks, and yet ended up having the best night, with mind blowing views and brilliant DJs. There was such a range of music to choose from as well as affordable drinks and tasty cocktails. I was not expecting it to be on the actual viewing floors and the views took me a good half hour to get my head around. Have recommended it to everyone I know! 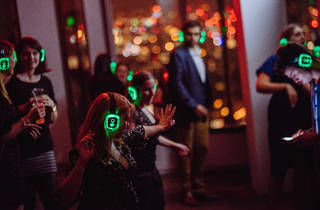 Fab night rocking it out on the 69th floor of the Shard at the Time Out Silent Disco. Not sure Boom Shake The Room, Happy, Bohemian Rhapsody, the Grease Mega mix, Superstylin, Insomnia and 9-5 have ever sounded so good! I am organising a bday bash at this on 12 Feb and I am 1 ticket short! If anyone has a ticket going spare for 12 Feb please get in touch! ferguson_drea@hotmail.com Thanks!! Anyone have a spare ticket for 27th October ! Is this a place worth going alone? My husband and I went for a late night date night.... so amazing, just beautiful view while dancing to whatever DJ you select. Headphones are really good sound. Awesome night out. Let me start with the obvious - it is expensive, yes it is. However, when you consider that the cost of going up the Shard is £25, the added £12.50 for the silent disco, isn't all that unreasonable. In terms of value for money, you need to realise that it's not the silent disco you're paying for, it's the whole experience. The views from the Shard are unmatched. It's not something one will do regularly, I don't think I'll go back either, but I genuinely think it's an experience worth investing in. Great fun, great atmosphere and did I mention great views? Yes, great views! It was a good experience and a bit of a change from the normal “club” atmosphere but I don’t think it was enough value for money. The place was a bit haphazardly planned. Hardly any place to sit, probably won’t do again. 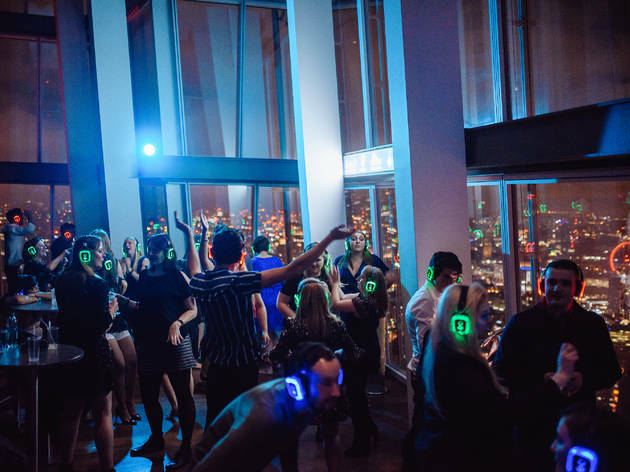 When it comes to Silent Disco, I'm a true believer but I'm putting the Shard down at the bottom for a few reasons. 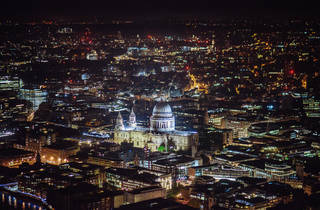 Given the space at the top of the shard there is not much chance to move around and dance, the price for the experience isn't that great and the drinks are quite expensive. Now, when that is all said, the SD at the Cutty Sark is the best one in town! Absolutely brilliant night out. Everyone gets right into the groove early on and the views are breathtaking. 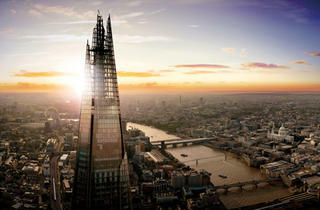 The best way to experience the view from the Shard! Highly recommend! What an AMAZING night. I mean PROPER amazing. I went with a small group of pals and we had such a great time. We arrived around 10.15pm and were whisked up to the 68th floor where the view we were greeted with was astounding. London truly looks so beautiful at night. The weather on Sunday was not great, but that didn't dampen (haha) our spirits! There are 3 different music channels you can choose from and the 3 DJ's really get the crowd going. It's a silent disco with the fact you cannot hear the music out loud, but take your headphones off and you can really hear the punters singing along! You can also go up to the 72nd floor for an slightly outdoor view, but it was awfully windy and rainy so we didn't stay up there very long. Drink wise they're basically London bar prices so around £5 for a beer, £8.50 for a cocktail, but that's what you expect to pay nowadays I guess. I cannot recommend this night more though, I'm already planning my next trip up the shard for another silent disco experience!! Well, well, well, best night ever! I was lucky enough to attend here on Easter Sunday (night). I didn't expect much as I've been to a silent disco before and the music wasn't really to my taste. Well I was certainly wrong! 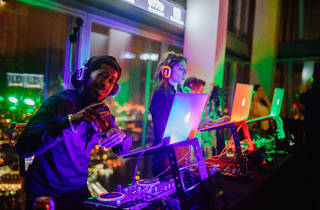 The three DJs were playing a mix of hip hop and R&B, pop, rock & roll, club and dance, so a really good mix of genres. As soon as I got there I happened to lock into the red radio and found it to be exactly what I like: hip hop, old school R&B new school R&B, rap and a bit of club classics! I was locked in all night and became a fully fledged member of the red gang! My girls and I literally spent the whole night dancing; them flicking between blue, green & red and me staying loyal to the red crew! The views were breathtaking... I've been to the Shard before, for dinner, but never to the 'View from the Shard' on the 69th floor. 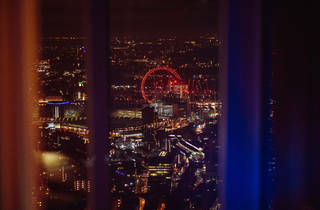 A 360° view at night, of the different points in London, all lit up. Absolutely beautiful. The drink prices were reasonable too! Soft drinks coming in at £2, cocktails wine and beers at no more than around £8 I believe; so much cheaper than expected. We all had an absolutely amazing time! One tip: at least once during the night, take off your headphones and listen to everybody's singing along to different songs... Literally like cats being run over by a lawnmower ha ha! Overall, recommend recommend, recommend! 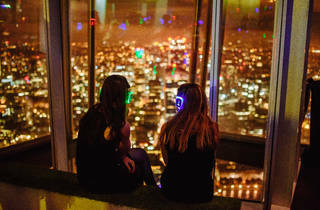 This is a great way to experience the Shard in a different light and to impress your friends. I didn't expect too much apart from the stunning views, as I'd been to the Shard already and the bar was quite posh (as it should be, fair enough), and also very expensive. However, I was so pleasantly surprised that I would put this night in the list of things you absolutely have to do in London! It's fun, unexpected and just brilliant. 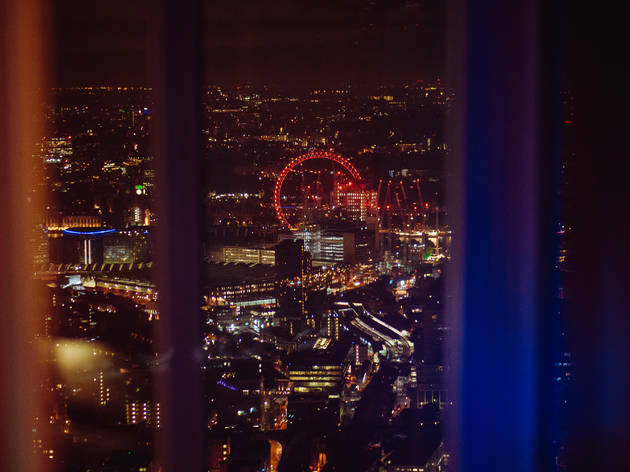 Yes, you get the best views over the most beautiful city of the world (oops, I know I don't sound neutral when talking about London) with good music - the selection usually includes a bunch of good songs that everyone likes - and drinks are not too expensive either. Plus, hey, the lift takes you to the 68th floor in a few seconds and the feeling is just wow! Going to the open part on the 72nd floor is also absolutely brilliant, you feel like you're on top of the world. Leading up to the silent disco I was beyond excited. An opportunity to dance, drink and sing at the highest point in Europe. Upon arriving, we checked our coats in (and having never been to the Shard before) we nervously made our way to the lifts. It takes not 1 but 2 lifts, followed by a series of stairs to get to levels 68-70 where the party begins. We arrived closer to 11pm and literally did not stop dancing till the lights came back on and we were asked to leave. There were large groups, small groups and even a few solo revelers, but that's the beauty of a silent disco - at the end of the day the music you're listening to is completely within your hands. The views are spectacular and when the more popular songs come on you can listen to the acapella version once you take of your headphones. The drinks aren't too expensive, especially if you stay clear of the cocktails. All in all, couldn't recommend this enough and would definitely go back! 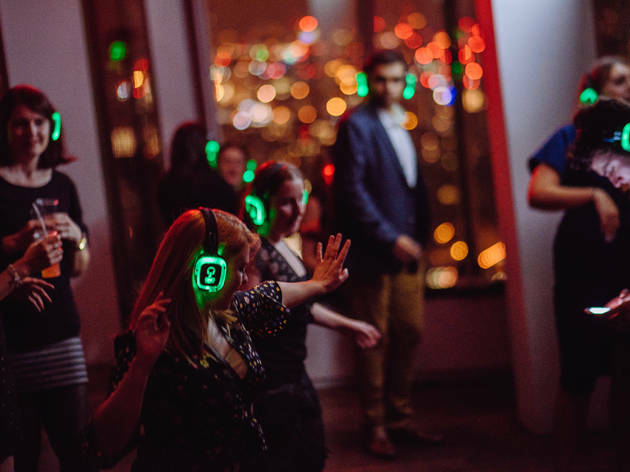 I love love love dancing but have never been a massive fan of clubs; I'm also fascinated with the amazing 360 views of London from the Shard (even the view from the toilets is awe inducing - I promise) so a Silent Disco at The View from the Shard sounded like a pretty epic idea. It was a pretty good sign that even before we entered the area where the disco was about to kick-off, the stewards already had their headphones on and were dancing around the place. With 3 channels/djs spinning from 10pm to 2am, we danced until we could dance no more (if there was a song we were less keen on, nothing easier than changing the channel on your headphones) and it's pretty easy to see what everyone is dancing to by the colours flashing on their headsets. And the music mix is so awesome that you will be unable to stay still. To date, in my nearly 3 years of London and many experiences here, this was probably one of my favourite ever nights and I have not stopped talking about it yet. I'm looking for tickets for 9th April 2016 for my birthday. Hello, I desperately need 2 tickets for Saturday the 27th February, If anyone is looking to sell theirs please get in touch on lorrainecarolboyle@hotmail.com, Many many Thanks!! The crowd at this event is very mixed which makes for a funny loo-queue if not a slightly odd event over all. Much better to attend in a bigger group as its easier to communicate with headphones (and song) if you’re all together, for a couple it can be a little hard work (unless of course you just love to dance). Better advance information about the music being played would be really useful and perhaps themed nights. It’s pricy at £40 a ticket (although the View from the Shard itself is almost £30) so planning for an event with your favourite music would be a bit better. The view itself at night is incredible, worth the visit to see London at night. Not my cup of tea but the crowd were going nuts for it, so it’s somebodies! last minute I know, but does anyone have a spare ticket going for this saturday the 27th September? If anyone has spare tickets for the 10th of October I would be happy to buy them off of you. It's my birthday and they're all sold out. Thanks!! One of the best nights out I have had in London in a long time. It's a bit expensive for the entry, but the views are amazing and the silent disco was so much fun! They had different music channels, which catered for all music lovers (cheesy songs included!) Definitely go and check it out! Awesome atmosphere, great music, amazing view, and you can even see London from the toilets, which is pretty cool! Hi require 1 ticket for tomorrow, Saturday 11th July's silent disco. Is anyone selling 1 ticket please?! Anyone have 3 tickets for June 27th that they no longer want?? Has anyone got 1 or 2 spare tickets of the Sat 25th? If anyone has a ticket for sale for 11th April I would happily take it off your hands! Thanks! Fun concept, great location. Drinks aren't too expensive, considering the location (£7 for Prosecco), though they tasted quite cheap. The crowd was quite 'Essex'. I would recommend going with a large group of friends, so you can make a section of the platform your own, as larger groups can get quite spirited as the night goes on! If you go in colder months and want more space, don't check your coat in, and head to the top viewing deck. Two of the channels were playing quite similar music, but there always seemed to be something playing that I would happily dance to. Go for dinner or drinks first, as it starts at 10pm, so make it the end part of your evening, not your entire night. Does anyone have 2 tickets for Saturday 25th April I could buy please? My friend is celebrating her birthday there and we would love to join her but it seems I've left it a little too late to book it! I was yesterday (10 march)! Is awesome awesome, nice staff , chip drinks, friendly and funny DJ !!! I recommend to go for everyone ! I will go again !! !